Dissonance by artist John Moroney. Walking the Square Mile by artist Paul Maher. The talented artist Paul Maher had me chugging along merrily anticipating a silent commune with his latest offering at Newcastle Art Space. But behold the hour cometh whereupon I witnessed the astounding flair for fine art of the young whippersnapper John Moroney. Now I’m not being facetious here. This fellow had pumped out a torrent of spectacular drawings that had me in awe. 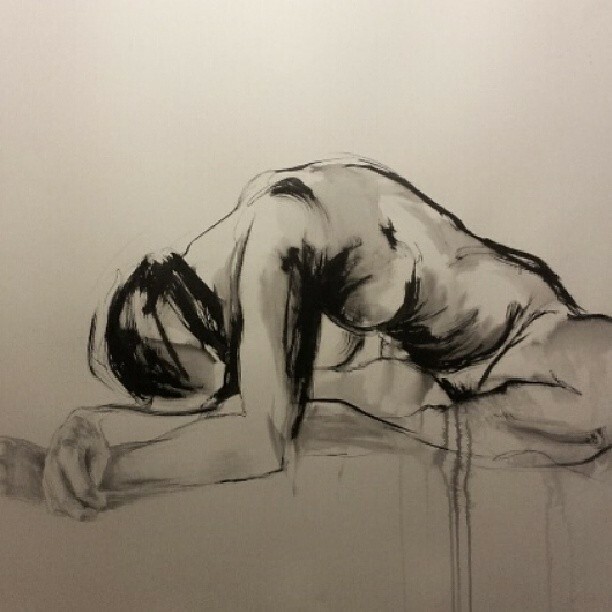 Piece after piece in his exhibition “Dissonance” demonstrated his life-drawing skills and not one had snags in regard to foreshortening or perspective difficulties. Moroney’s ability however does not cease at technical prowess. 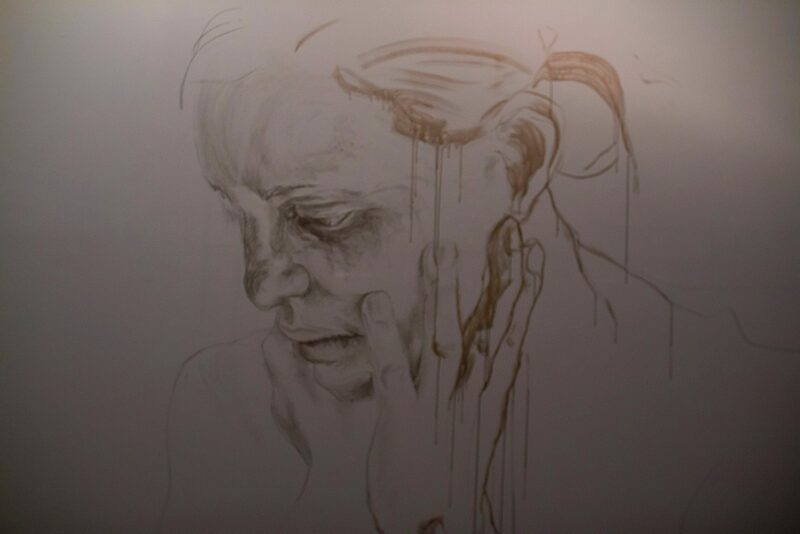 Attention is seized through a myriad of techniques where brush, charcoal, ink and water are teased and manipulated to create a push and pull outcome within his art. This fractious base permits his work to be raised above that proud achievement of finding likeness in drawing to the divine heights of soul in art. He’s one to keep an eye out for. And now Paul Maher. “Walking the Square Mile” did not disappoint. There’s an eager pleasure in the art of Maher who I discovered earlier in the year at Four Point Gallery. A fresh approach to drawing found in his computer derived work delves into those murky waters of what constitutes drawing. But it’s all happening here with the spontaneity and looseness creating movement that’s teasing with its cool lingo. Colour is languid and easy working well against the casual line. 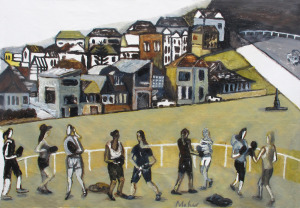 The earthy tones in Maher’s paintings expose a peaceful Newcastle easy to perceive and engage with. It’s not only the expressive creativity at work here but also a rich application of paint that pleases and rewards. In the end the audience is allowed to observe the everyday become extraordinary. Both exhibitions emerge successfully in the sea of artistic endeavours ensconcing “our town” at present. Paul Maher’s intriguing eye and John Moroney’s supurb skill are on display until the 17th August at NAS.